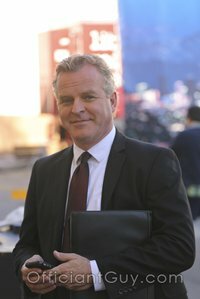 I have been a wedding minister in Los Angeles for many years and I have performed many civil wedding ceremonies and religious wedding ceremonies in many Burbank Glendale Wedding Locations. Many have been at Pickwick Gardens. Pickwick Gardens is a wonderful surprise that you find only after passing the bowling alley and the ice skating rink. 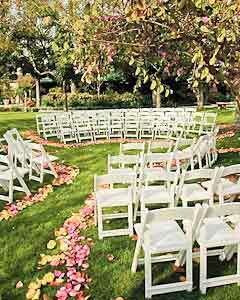 Once you see the lush garden area, you can imagine marrying the love of your life in a California garden ceremony. Your wedding will be surrounded by green grounds, trees, colorful flowers, and fountains. It will be a wedding celebration that you, your family and friends will never forget. One of the great Los Angeles wedding locations. Imagine a breathtaking view of green grass, trees, flowers, fountains and flowering gardens, surrounded by your closest friends and family. Choose an afternoon garden wedding with a burst of color to brighten your special day. You might prefer an evening wedding surrounded by candlelight with rich vibrant tones to guide you to the elaborate banquet that awaits you and your guests. Your reception at Pickwick Gardens will be creatively planned and elegantly presented just as you request. You and your guests will enjoy the delicious cuisine served by a superb professional catering team. You’ll have the option to choose a casual, relaxed buffet menu or an elegant black-tie dinner to complement your unique style. Amazing menu selections accented by a special champagne toast, complimentary decorations or a beer and wine bar are included among some of the packages you’ll have to choose from. Of course, you and your guests will have complimentary parking. 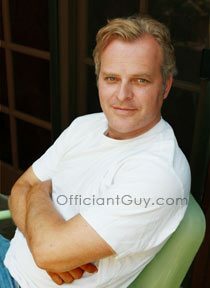 If you are thinking of having your wedding ceremony or reception at Pickwick Center or anywhere in Los Angeles County or Orange County California then consider having this wedding minister, the Officiant Guy, as your wedding officiant.